Ford Motor Company of Canada posted a 2.6% year-over-year sales decrease in October, sliding from 22,088 units sold in October 2015 to 21,510 units delivered last month. Sales of cars totaled 3,613 units, down 13.1% year-over-year from 4,158 cars sold in October 2015; sales of trucks, SUVs, and vans totaled 17,897 units, ostensibly flat with the 17,930 vehicles sold the year prior. Sales of SUVs and crossovers were up 19%. 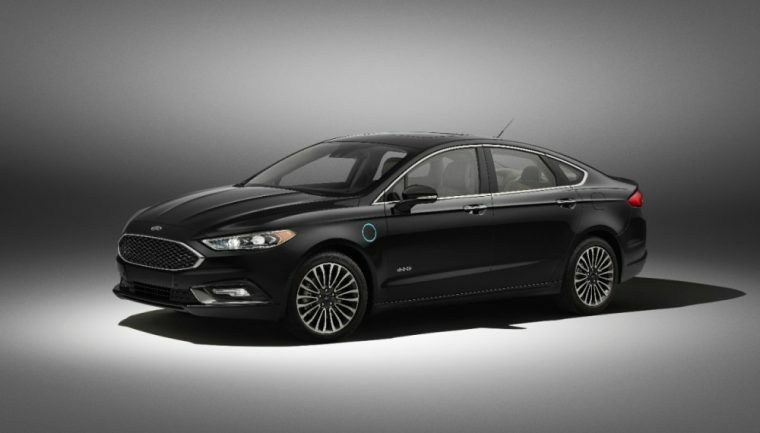 Ford notes that the Fusion saw a 40% increase across the namebadge, driven by the addition of the new Fusion V6 Sport model and improvements to the popular Fusion Hybrid. Sales of the Fusion Hybrid were up 130% year-over-year in October, which, coupled with a 35% year-over-year increase for the Ford C-MAX, suggests an increased interest in vehicles utilizing alternative powertrains. Other highlights for the month include an 18% increase for the Ford Mustang, 25% increase for Taurus, 16% increase for Transit Connect, and 13% increase for the all-new Lincoln MKZ. Through 10 months, Ford Canada’s sales are up 9.3% at 260,387 units delivered. Sales of cars are down 14.3% at 40,941 units, and sales of trucks/SUVs/CUVs/vans are up 15.2% at 219,446 units.